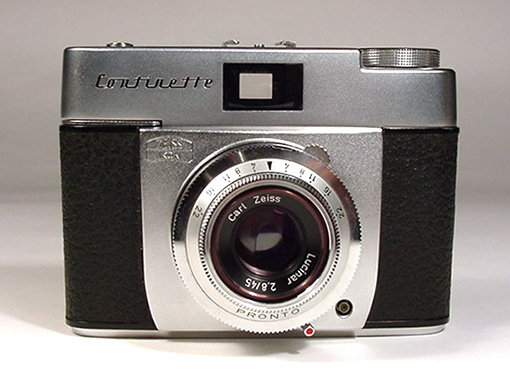 The Continette camera dates to 1960 and was available for only two years. 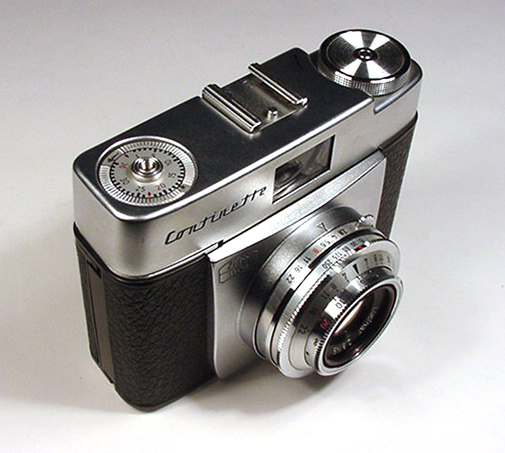 It is a well made 35 mm viewfinder camera. This example is in excellent cosmetic and working condition. The shutter is a Pronto, with speeds from 1/30 to 1/250, plus bulb and self-timer. The lens is a Lucinar 45mm f 2.8, stopping down to f 22. The Zeiss model number is 10.0625. A case is included. The case front has separated from the case bottom and part of the strap is missing. However, it is fairly clean and helps protect the camera. This camera was offered for sale/trade. It is no longer available.